I chose this photo mostly because of the lighting, I don't really like bright colors and this photo has black and white but still has a little tint of purple. I wrote my name really big so that you can see it, but the letters are also the background so that its like the background is part of my name. The white color that makes up the outside of my name blends in with the white of her dress. So that everything blends in goes with one another. I chose this quote because it explains how I feel about fashion. 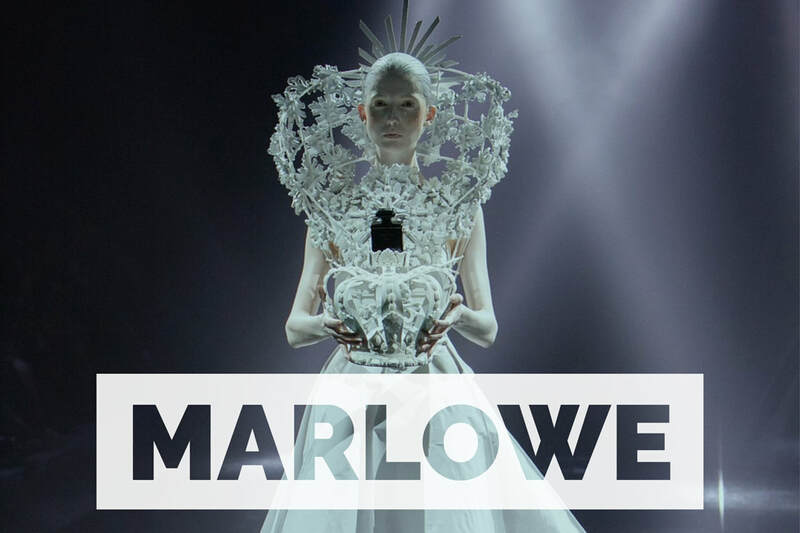 Fashion is a language in its self, and yet it can be interpreted in different ways. This project is much more colorful than the day 1 project. I really wanted to show how different fashion can be and how many colors and color combos people can make. I put my name and fashion on the bottom because because it is less important that the quote, I made sure that the colors of the text match the photos. In this poster I see a gun wrapped in barbed wire, there is a white background with a black gun in front, and the barbed wire is covering the entire gun. I picked this poster because it has the design I want. What stands out in this image is the barbed wire because it is grey on the black gun. One idea this poster give me for my own poster is the colors stand out against each other. In the poster I see an African American kid holding their hands up so that someone does not shoot them, their are a bunch of other African Americans holding their hands up in the background, I see lights showing behind the kids, in a halo sort of way. I picked this poster​ because it shows that we should be protecting kids against guns, not trying to protect guns from tighter gun laws. What stands out in this poster is the kids shirt because it is one of the only things that is really clear in the poster. One idea that this poster gives me for my own poster is to have more than one thing going on in the poster at the same time. In this poster I see a bunch of guns, and a piece sign, that make up a flower. 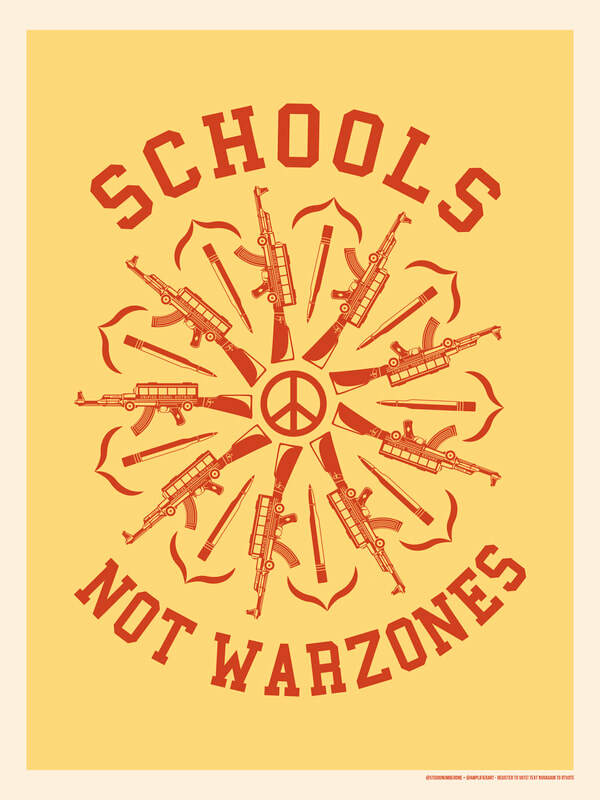 I picked this poster because it talks about school shootings. What stands out in this poster is the peace sign in the center of the poster because it is one of the only peaceful things in this poster. One idea that this poster gives me is that I should us a bunch of little things together to make up a larger thing in the poster. 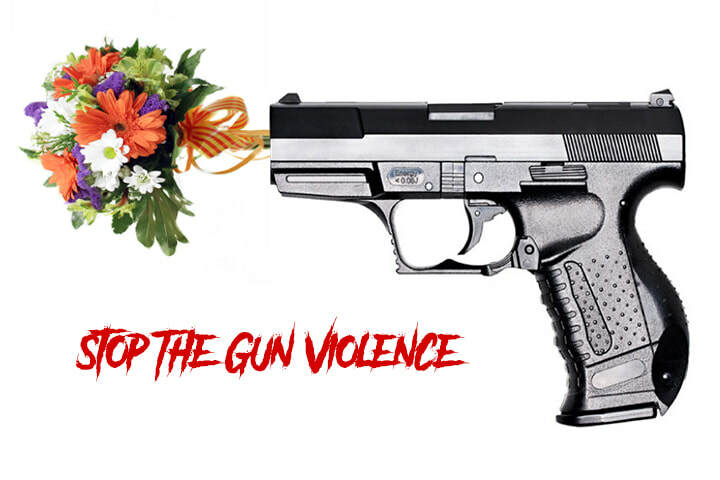 I decided to have flowers coming out of the gun to show peace, not violence. Then I choose a bloody font to represent the lives lost. I changed my entire idea. 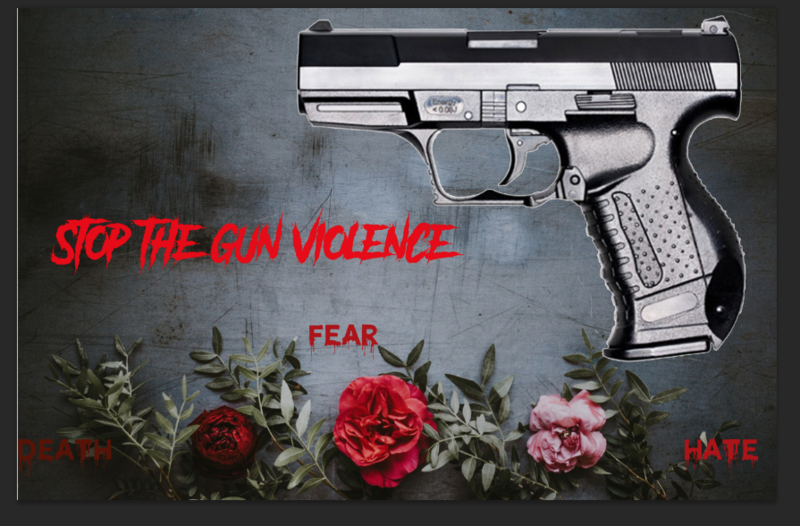 I kept the gun but I changed the background to flowers and a gray surface. I also kept the words Stop The Gun Violence. 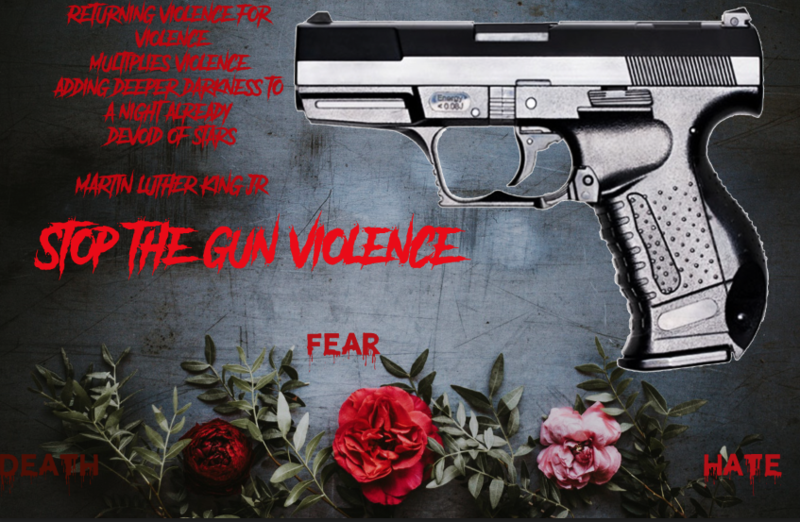 I kept the background, the gun, and the font that says stop gun violence. But I added the words hate, fear, and death, to show that guns bring hate, fear and death. I also took away the white outline of the Stop The Gun Violence to make it more dramatic. This is my final poster, I kept everything, but I added a quote by MLK. It says "returning violence for violence multiplies violence adding darkness to a night already devoid of stars". 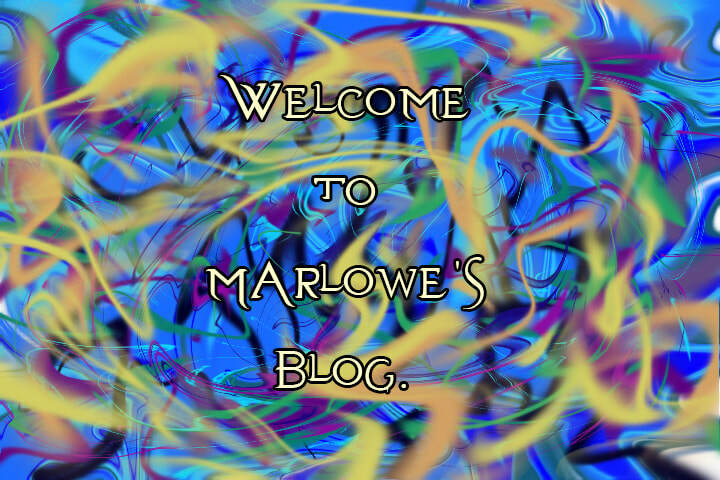 I added contrast between the letters and the background.